Bruce Rauner Attacks Amp Up - Will the Shakedown Express Move Voters? 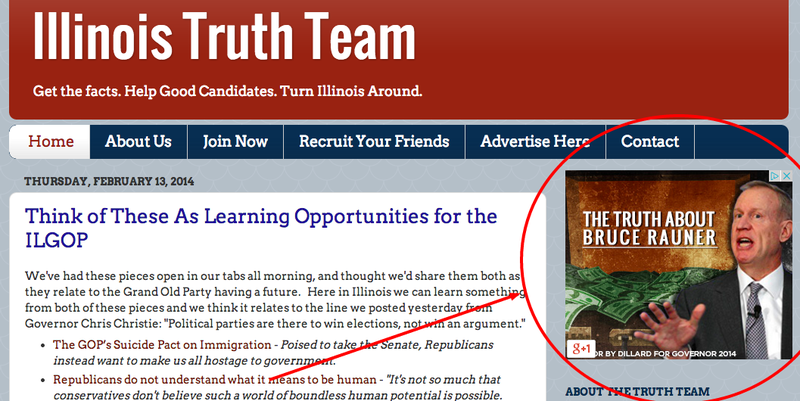 If you read any Illinois political news (and if you're reading the stuff we put up on the Truth Team, we're guessing you're a political animal...so you're reading A LOT of political news), you've undoubtably been seeing the oncoming assault that is the multi-pronged Bruce Rauner attack machine. 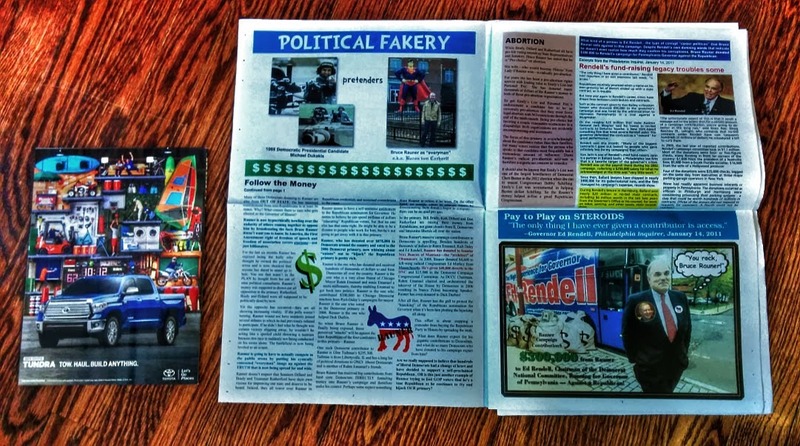 One of the key pieces of that attack is a targeted mailer sent to Republican voters. The folks here at the Truth Team got our hands on a copy of the mailer yesterday. It has been called 'wordy' by others, but we had no idea just *how* wordy it really was. It is also massive. Here's a shot to show you what it looks like compared to a normal magazine. It towers over it in size. A few of us have tried to go through it, but frankly...it is hard to deal with. We know some seniors love getting mail and probably still read their local newspaper that gets tossed onto their driveway every week from cover-to-cover, so this will probably be right in their wheelhouse. But for us? We knew it was coming, so there wasn't any surprise factor to it. But for most of the Truth Team...it just doesn't move us all that much. There were, however, a few folks in the Truth Team office that really like the piece and think it'll have an impact.